This tenth part of the Series, continues to elaborate on the third farz of a mother: what to do once a child is born. Sep 28, 2018: In this tenth part of the Maa De Farz Series, Bhai Guriqbal Singh Ji continues to elaborate on the third farz of a mother: what to do once a child is born. It’s written in the Twarik Khalsa that Baba Ram Kiyor Ji, from Baba Buddha Ji’s lineage, was instructed to recite Japji Sahib Paath over a cup of water and then give some of that water to Sahibzaada Jujhar Ji. This is a type of Gurti. Bhai Guriqbal Singh Ji shared more in-depth about Gurti in a previous katha, and we wrote more at-length about it in this post. In one simple act, Guru Gobind Singh Ji demonstrated powerful concepts: 1) this child was born from the blessings of Sangat, and whenever someone blesses us, we shouldn’t ever forget them (the Ultimate Entity and Giver of Gifts is Guru Sahib Ji); 2) Jujhar Singh will always remain in service of those who gave the blessings (i.e. Guru Sahib Ji and Sangat); and 3) that the dust of the feet of Sangat is pure enough to bathe His newborn baby, a baby who hailed from Dargah (i.e. already super-duper pure!). 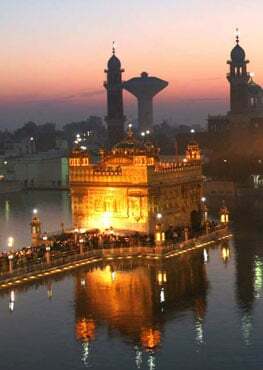 In fact, a whole slew of Gursikhs ended up accompanying Guru Sahib Ji and taking part in the festivities that Guru Sahib Ji Himself directed and organized. What were those festivities? K I R T A N.
On the way there, Guru Nanak Dev Ji gave notice to start the kirtan program. Once Guru Nanak Dev Ji arrived, Baba Buddha Ji brought the baby to Guru Nanak Dev Ji and put the baby’s matha on Guru Ji’s feet. Guru Nanak Dev Ji said, “Sat Nam Chit Aaveh” which can be translated to “May you always remember God’s Name.” Guru Sahib Ji then gave the hukam to name the baby Bhai Bhanna Ji. In fact, the whole area in which the baby was born became known as Bhai Bhanna Talwandi upon Guru Sahib Ji’s suggestion. From Katari Pind, there was a man called Tara Singh who come to Sant Baba Attar Singh Ji, Reru Sahib Vale. Tara Singh used to drink the wrong kinds of drink and eat the wrong kinds of food. However, upon listening to Sant Ji’s katha and he started to awaken and he wanted to adopt a Gurmat lifestyle. The energy and effects of Sangat were so strong, that he ended up taking Amrit, too. “It’s easy to say, but to actually do seva over a long period of time is very difficult… Think about it…” Sant Ji advised. Tara Singh shared that if he does seva only once a week, it will give him something to look forward to. After the day of seva, a few days of normal life will pass and then before he knows it, in a few days, the day of his duty will arrive. Those few days before Wednesday (his day to do Seva) will be full of anticipation and excitement! Note to readers: the purpose of marriage or an Anand Karaj in Sikhi is NOT to procreate – for more information on the purpose of marriage in Sikhi, see this post. Not having any children with a spouse IS NOT a valid reason to remarry! Sant Attar Singh Ji laughed at his suggestion and said, “If Guru Gobind Singh Ji can heal you, He can heal your wife, too!” Baba Ji then wrote down the specifics of Tara Singh Ji’s wife’s Nitnem for healing and she followed it to the letter! Of course, she was healed too AND they also had a baby! Mahapursh Sant Baba Attar Singh Ji said, “As soon as one ends, begin the next Akhand Paath. Do FIVE (!) in a row.” In doing this, Baba Ji said that people who normally celebrate such occasions out of accordance with Gurmat will be satisfied and they’ll become colored in Guru Nanak Dev Ji’s Love. They also will not bother you about a party. 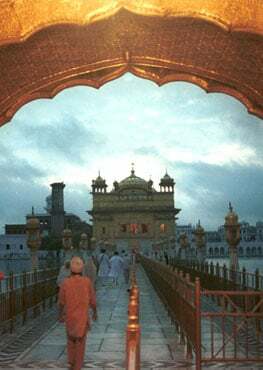 Some may even decide to give their heads to Guru Sahib Ji after being in such an environment, listening to Gurbani, and doing Seva for so many days! Tara Singh followed Bachan and exactly what Sant Ji said would happen is EXACTLY what happened. When a baby has been gifted to us by the Giver, the best action we can take is to thank the Giver for His Gifts by remembering Guru Sahib Ji with Gurbani. Not only should we ourselves remember Guru Sahib Ji, we should inspire others to remember Guru Ji as well. Therefore, the coming of a child into our house will not only bless our family once, but many times over because with the coming of the child, we’ll be inspired to Connect with Guru Ji. Not only will we be reminded of our purpose of life, but we’ll help others towards their lives’ purpose too! Of course, this will also help our child towards its purpose of life too. Sakhee is a blogger at SikhFamilyLife.com, where she writes about family life and Sikhi. How Do We Prevent Our Girls From Being Taken Advantage Of?